I was recently given a responsibility upgrade and now manage our website. As part of this my first task was to decide how we would comply with the cookie law, so I went for a belts and braces approach. New visitors to our site are now confronted with an obtrusive pull-down lightbox asking if they’re happy to accept our cookies, with an explanatory option going through all the different types of cookie and what they might be used for. I made sure there was an additional “decline and remember” option to enable visitors to refuse all cookies except the one that kept asking them if they would accept cookies. I’m that thorough. As a developer who takes the time and effort to make sure our website and other digital tools are optimised towards the best user experience possible, it’s intensely frustrating to find out that users just want to click and go. The old adage that you can lead a horse to water but not force it to drink has rarely been more appropriate than with today’s web user. You can present visitors with clear signposts to content, well thought-out internal architecture and an excellent search facility, but there will always be people who can’t find things or misunderstand what is there. That’s why it’s so important to remain up-to-speed on usability and design practices, we’ll never please all of the people all of the time but we should try to satisfy as many of them as we can. 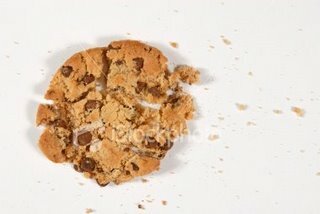 Who is this cookie law satisfying at the moment? I don’t feel any safer from scammers than I did before; in fact, the law has generated additional ways to frighten web designers into paying out money. According to a survey in May, 4/5 of users now feel safer, though 75% of those asked about it had never heard of the law before. The last-minute change towards implied consent has only muddied the waters and a clear method of compliance has yet to emerge from the depths. That pop-up at the top of our site bothers me, but at the moment it remains a necessary evil. Not only does it damage the aesthetics of our site (and many others), the implications for accessibility have to be examined and addressed next, to avoid complying with one law only to fall foul of another. Perhaps in time we’ll be able to make the warning a little less in-your-face. Here’s hoping. Hello! 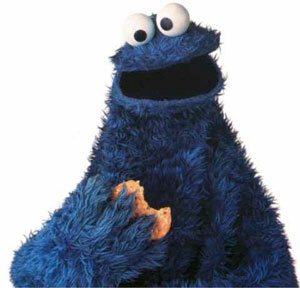 I’m back after 6 months of maternity leave and straight into a big kerfuffle on the interweb about cookies. Not the type I’ve been munching on during my yummy mummy lunches, but those pesky bits of code that enable websites to work properly and (sometimes!) to make money. Webmasters have been given a year to prepare for the change in the law, but this hasn’t stopped 80% of sites in the UK not complying. I suspect that a lot of this is down to a decision to adopt a “wait and see” approach rather than blind ignorance, as last-minute changes have already been made to the law and a catch-all template for dealing with it has yet to emerge. E-Consultancy have compared how some of the most high-profile news sites have handled the situation and the results vary significantly. What’s most startling is that only the BBC site can be confident of complying with the law. So why, when we’ve all had so long to prepare, is it proving so difficult for webmasters to allow users to opt in or out of cookies? The law is problematic on several fronts. First of all, the ICO admit that they’re not sure how it should be implemented. That’s not a good start! Secondly, the general public are not well informed about what a cookie is, and it’s not really the job of a site selling holidays (for example) to try to sum up what this concept means to their visitors without the existence of one clear resource out there for everyone to refer to. Thirdly, allowing users to easily disable cookies is the easiest way to be certain of compliance but nobody wants to do this as it will stop their site functioning properly! It’s a catch-22 situation. Hopefully this will settle down within the next few months, but a more direct lead from the ICO would be appreciated on this one rather than the mass crowd sourcing experiment that’s inadvertently happening just now. Although the BBC is primarily a broadcaster of TV and radio, people have become used to the site as a source for news, sport, weather and advice. The new design seems determined to sideline these requirements and direct people towards their TV content – when you click on “lifestyle”, four out of the seven featured links take you directly to iplayer content without an explicit warning that this will happen. If I’m on a BBC main page I’m there to find something out or to read something, links to iplayer content have no chance of interesting me as I won’t have the time or the inclination to watch a half hour TV programme. 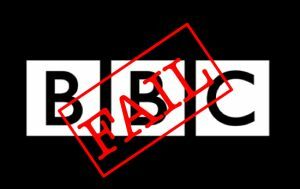 Many people browse the BBC website as a part of their work, and links to blocked streaming content will only annoy them too. Site navigation has been severely compromised by the multitude of options to explore content. Instead of the widely-recognised practice of using one or two main menus, the beta site now provides visitors with five areas that could be described as content menus, not counting the various widgets for weather, listings and popular content. This seems like a strange decision given the current feeling among content designers is to make design more minimal and cut down the homepage to a user’s top 10 tasks. This example highlights the most important failing of the new design. People generally visit a website for a specific purpose. They want to accomplish this goal as quickly and easily as possible. What they don’t want is for the site to hinder their journey by attempting to “hijack” their visit at every turn with flashy adverts, poor navigation and promoted content. I can’t see any rationale behind the BBC’s proposed redesign other than a wish to promote the TV channels and increase viewing figures. If this is true, then it’s a great shame; as I’ve pointed out before, the BBC has a great opportunity to provide us with a superb web service, but it seems unlikely to become reality in the near future. If you listen to the news (and god knows I try not to, but unfortunately it’s a part of my job) you will regularly come across reporters dumbfounded by the use of Twitter or Facebook or online dating as part of some sinister crime or contributing towards the breakdown of society in some way. The emphasis is often not on the story itself, but ends up concentrating on the “newfangled” methods used by the participants. Are we really still at the stage where web technologies are considered novelty items? These news stories don’t emphasise the roles that cars or phones or photocopiers play, so why keep highlighting the web? This effect continues when it comes to public service provision. When the question of whether it would be cheaper to move services entirely online is asked, this is often discounted as an option in case citizens are disadvantaged by not having an internet connection. The same consideration is not given to the possibility that they might not have a phone, or a car or even a bank account, any of which would leave them similarly disadvantaged. The launch of the Alpha.gov project will mean a further move towards digital provision of services by the government and the case for replication of these services under older phoneline-based models grows weaker with each passing year. I hope we can all work together to make web-based tools and services the best option for citizens to use and, in doing so, remove the need for duplication of effort. Back from my Christmas sabbatical and suitably refreshed, I come across this article in the Guardian alerting us to the fact the BBC has decided to cut its online budget by a quarter. For an organisation with such an amazing opportunity in terms of staffing and resources, the beeb’s online content has always been a big let-down for me. The only section that I go back to on a regular basis is their online recipe finder and the (admittedly brilliant) iPlayer. Both of these are essentially methods to catch up on content from TV shows, so what does the BBC online service offer us that goes over and above this service? There is the news, of course, but the neccessities of impartiality and breadth of coverage mean that those looking for a more in-depth form of analysis are seldom catered for. As most of the broadsheets have dramatically raised their games, the BBC service has stood still, indeed many argue that it has gone backwards. These concerns are not new, but as the budget cuts begin to bite they become ever more relevant. The design of the BBC’s site is horrible, akin to an explosion in a widget factory. Whatever happened to less is more? When they spend so much time on accessibility of their content, you’d think a bit of design nous would also be applied. They have allowed the branding of their ‘larger’ sections to dominate over site design, so that when you visit the TV, Radio or News sections you have to deal with a completely different information architecture from that on the Sport and Weather sections. No way this can be justified, unless they assume that no one user will want to visit more than one area of the site – in which case, why bundle it all together in the first place? The fact that www.bbc.com pointed to a chemical manufacturer’s website until fairly recently shows that Auntie Beeb were not exactly early adopters of the interworld. Having failed to catch up before their budget cuts, this has to go down as a wasted opportunity. “Is it OK to” suggests that Google thinks I am worried about getting pregnant, going to Greece, getting food poisoning or what to wear at a wedding. None of these are correct, although if all 4 scenarios were to present themselves at the same time I’d have a lot more to ask Google about. “Should I worry about” brings up a few more interesting results. “…a mole” and “…nuclear power” were the top 2 results but, somewhat alarmingly, “Should I worry about Richard Hammond” was the third suggested query! I have never previously worried much about the Top Gear presenter, but I’ve found him preying on my mind since this experiment. Let’s move on from information anxiety and try something a bit more philosophical. “I think” concludes with “…therefore I am” as the top result, but the top ten also included “…we’re alone now”, “…I’m pregnant” and “I love my wife.” Hmm. I’m not sure how any of these auto-completed searches are supposed to save me any time. More importantly, this process works against the user’s mind model of a website should operate and as such appears to be designed more as a money-spinner for Google (think of how much Orange would be prepared to jump above O2 in the auto-complete hierarchy for their initial letters) than as a genuine attempt to improve the user search experience. Twitter is the new black. It’s everywhere: on the news, in political satire, in books, on the TV…if it wasn’t for Twitter and QI, who would still care about Stephen Fry? Despite this, I have to admit that I’ve still not quite got to grips with the platform. It’s all very well in theory – 140 characters, converse with celebrities and other strangers in real time, follow important trends…I just don’t find it very engaging. The ephemeral nature of each tweet means that if anything particularly profound ever gets said (either by me or one of my followees) I’m likely to miss it. There’s always the retweet of course, but these depend on the Tweeter’s popularity as much as their content quality. There’s also the problem of the Twitter interface. This has recently been retweaked but it still leaves a lot to be desired, with most Tweeters preferring to use 3rd-party apps such as Tweetdeck to post their updates. The process leaves me cold. I’m going to keep trying with Twitter but, like Coronation Street, it’s not something I can ever see myself getting excited about despite its widespread popularity. This won’t stop me from trying to improve my work’s engagement with Twitter, but when I’m back in the house I’ll stick with Facebook.